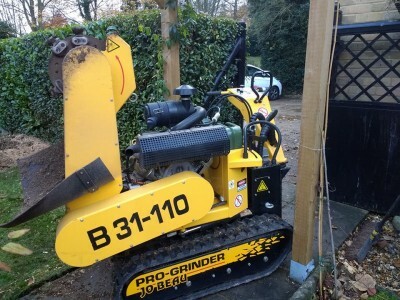 Herts Stump Grinding are experienced professionals who only use the highest performing and specialist grinding machinery available. Click the link to see the Jo Beau stump grinder in use. Jo Beau are one of the leading companies and producers of stump grinding machinery in the industry. These machines are manufactured for domestic and heavy forestry roles. They are extremely powerful, very reliable and robust. Our machines also run the most up to date and efficient cutting systems available. 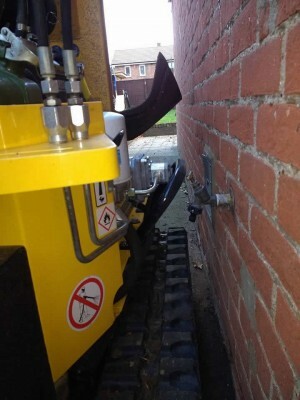 Our main machine size is 29 &1/4 inches which ensures it will fit through the smallest of gates and openings. We can discuss your access prior to confirming a quotation. With larger trees roots can extend further and cover large distances underground. This can cause damage to lawns, land and property so you may want to consider complete tree root removal. If this is the case and you’d like us to remove not only the stump but also the root, we can sort that too. Email us today for more information and a free no obligation quote, or call on Tel: 01763 448095, Mobile 07599 549363.